I have been utterly remiss in not posting about this yet! My complete lack of posting does not in any way reflect how awesome or exciting it is that Paula Guran has edited this anthology, that it contains 150,000+ words of new fiction (that’s right: all original stuff, not reprints! ), that she asked me for a story for it, and that there it is! Right there in the ToC! An outstanding anthology of original stories inspired by H. P. Lovecraft from authors who do not merely imitate, but re-imagine, re-energize, and renew his concepts in ways relevant to today’s readers. Fresh new fiction that explores our modern fears and nightmares. 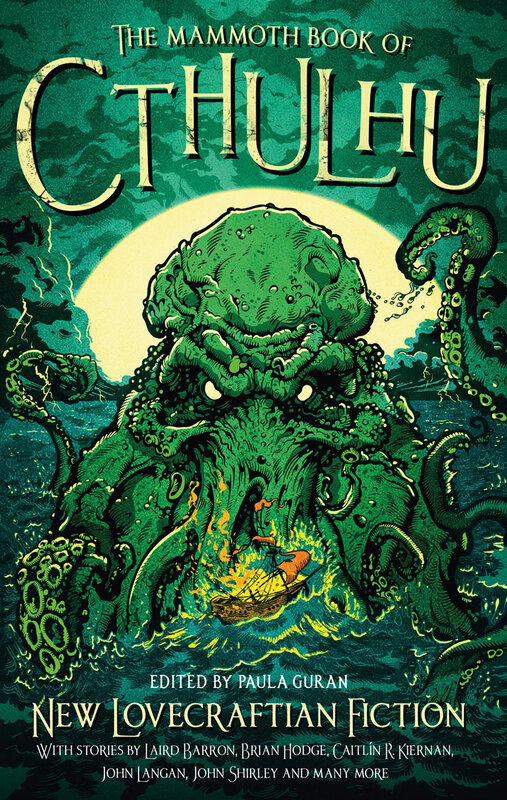 From the depths of R’lyeh to the heights of the Mountains of Madness, some of today’s best weird fiction writers—both established award-winning authors and exciting new voices—THE MAMMOTH BOOK of CTHULHU collects tales of cosmic horror that traverse terrain created by Lovecraft and create new eldritch geographies to explore . . . The book will be out in the UK in April 2016 and in the US in May 2016. Keep an eye out for it! Tags: a.c. wise, brian hodge, caitlin r. kiernan, damien angelica walters, don webb, helen marshall, john langan, john shirley, laird barron, lois h gresh, michael shea, michael wehunt, nadia bulkin, norman partridge, paula guran, richard gavin, ruthanna emrys, sandra mcdonald, silvia moreno-garcia, simon strantzas, usman t malik, veronica schano, w.h. pugmire, yoon ha lee. Bookmark the permalink.